(UPDATED APRIL 2019) It was a scene straight from a postcard – several postcards, in fact. 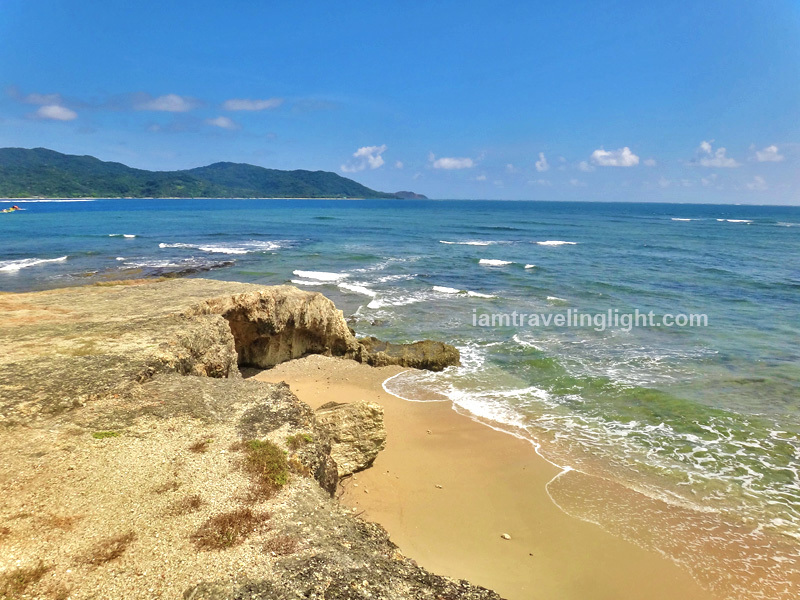 Lush green hills and grassland, frothy waves pounding and shaping rugged cliffs on one side, and a tranquil cove with the lightest and deepest blues on the other. Going up the over 200 steps to Cape Engaño lighthouse, I found myself stopping several times just to savor and capture this view. This was paradise. This was Palaui. 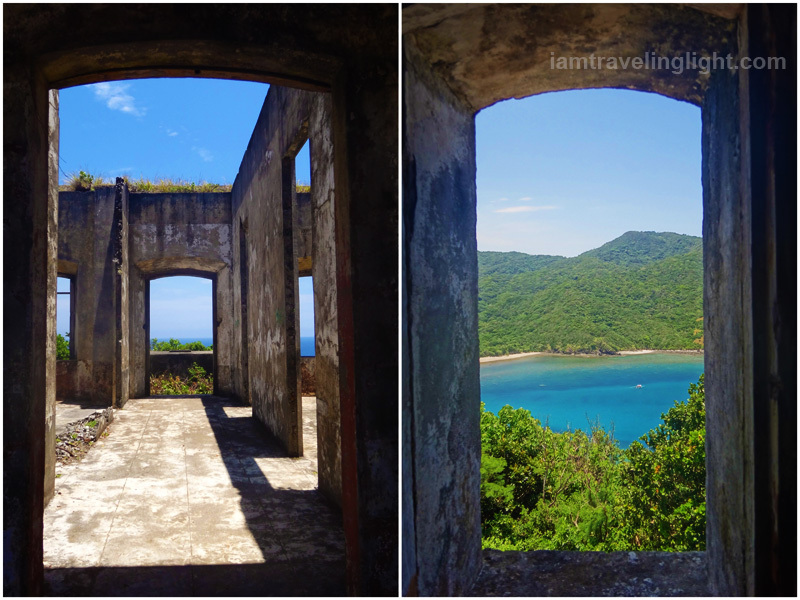 All the photos I had seen and the praises I had heard were true – in fact, they were mere approximations of the island’s beauty when seen firsthand, which is far more breathtaking. 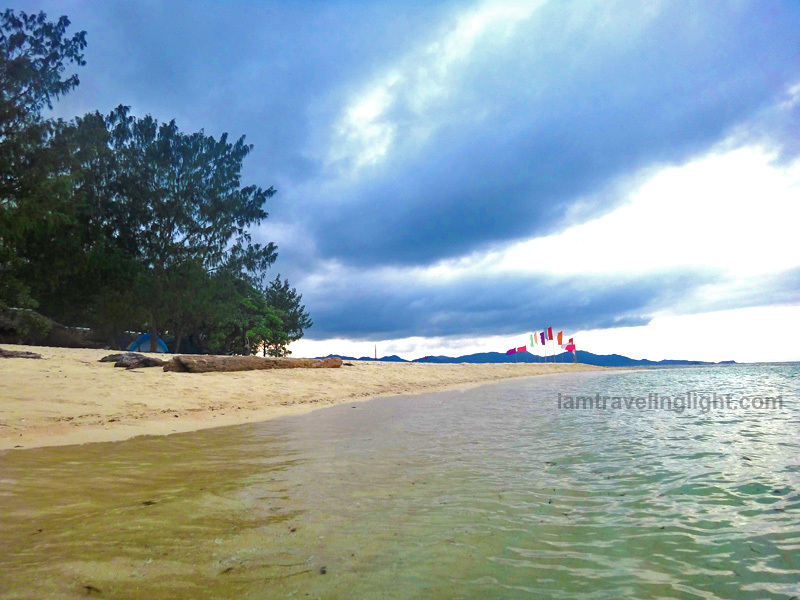 Palaui, an island located in the northeastern tip of Luzon and is around 20 minutes by boat from San Vicente port of Santa Ana, Cagayan, is recognized by CNN as Top 10 among the world’s best beaches.It is also the location of the 2013 Survivor US reality show. It was declared a National Marine Reserve almost two decades ago to protect its terrestrial and marine life. 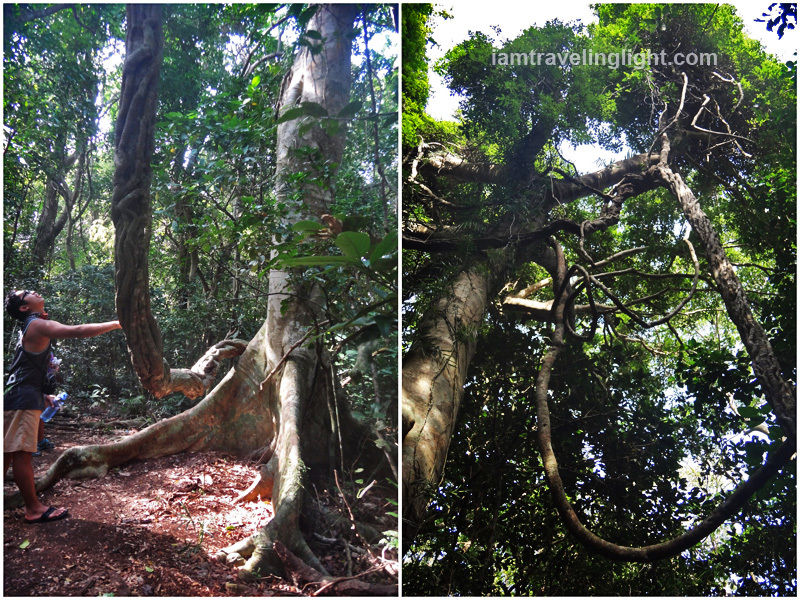 It is rich in forests, mangroves, coral reefs, and wildlife. Tours can be availed of through their community-based tourism program, whose fees not only help in preserving the island but also provide livelihood for locals. The local community this 2019 won the ASEAN Community-Based Tourism Award. Cape Engaño Cove as seen from the steps going up Cape Engaño lighthouse. This is one of the locations for Survivor US. 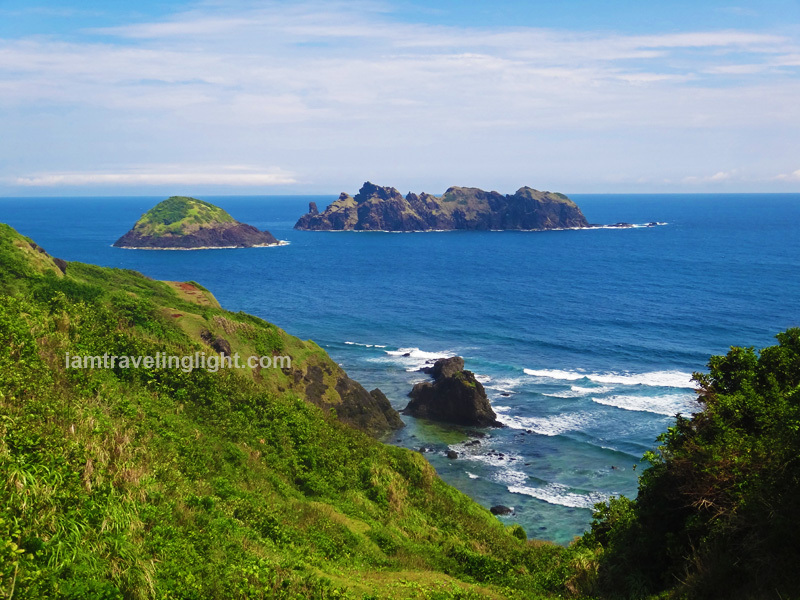 The highlight of the Palaui tour is undoubtedly Cape Engaño. 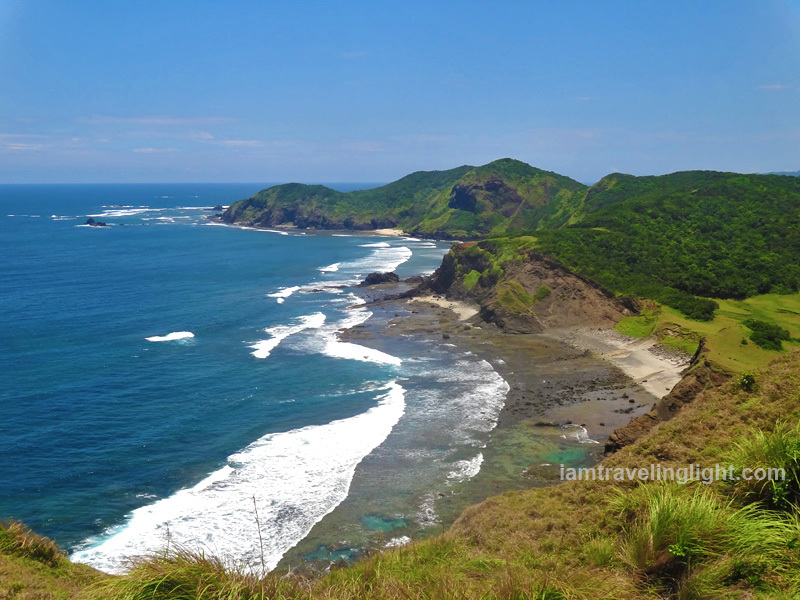 The picture-perfect scenery of hills, grasslands and seas can be seen while going up the steps to the lighthouse. And, once you’re up there, you get to see one of Palaui’s classic icons, Dos Hermanas (Two Sisters) islands, amid a wide expanse of blue sea and sky. And, both on the way and on top, you get to see the sea both caressing and raging against the grassy cliffs. As you take in Dos Hermanas, look to your left to find this lone cliff. 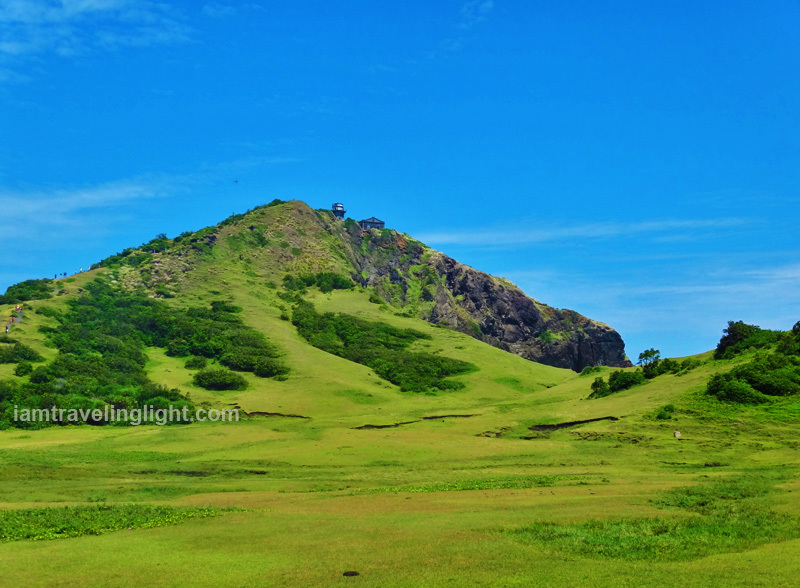 The lighthouse, and not just the scenery that surrounds it, is also one of Palaui’s main attractions. Finished in 1892, this Spanish-designed structure is over 100 years old. 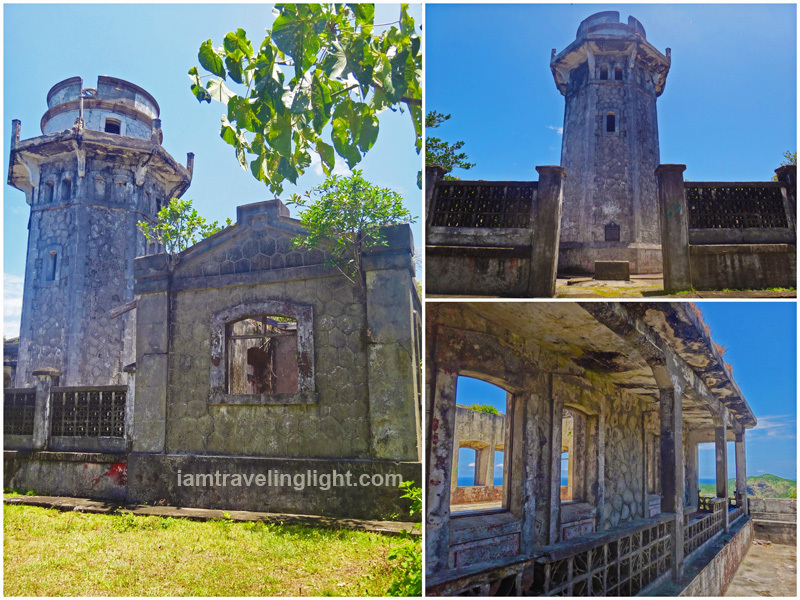 The Cape Engaño lighthouse, also known as Faro de Cabo Engaño, is over 100 years old. The lighthouse’s open doors and windows also beautifully frame the scenery and the architecture. The grounds leading to the lighthouse can be reached via a 30-minute or so boat ride from Punta Verde, the local community in Palaui where tourists also stay overnight. It can also be reached via a five-kilometer trek. I highly recommend the trek because of the scenery you won’t find if you opt to take the boat. 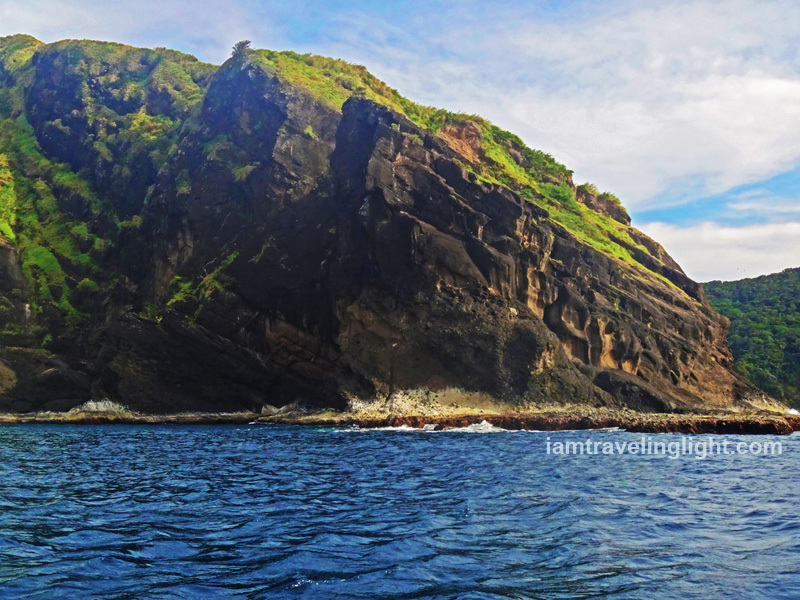 If your time is limited (especially if you won’t be staying in Palaui overnight), though, take the boat as you can still see Palaui’s hills and the postcard-perfect view once you take the steps up to Cape Engaño lighthouse. 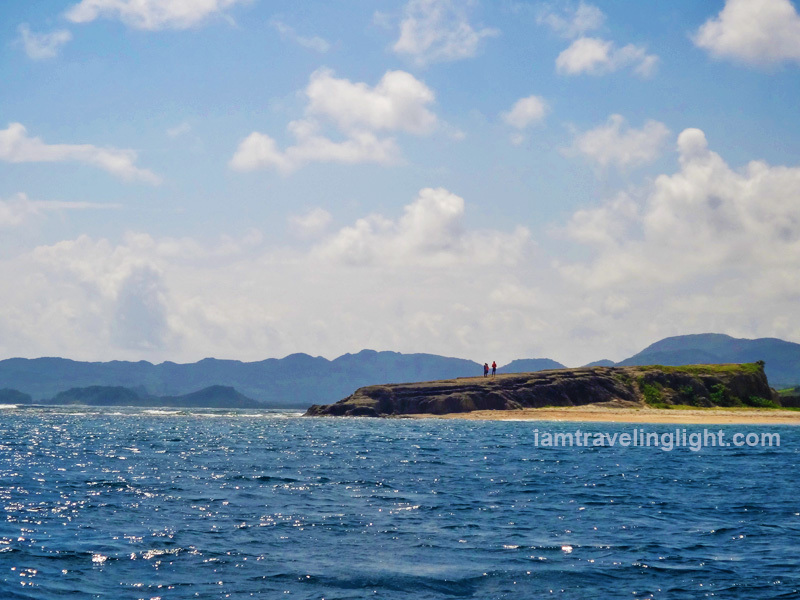 My second time to Cape Engaño in Palaui was via boat from the mainland of Sta. Ana. 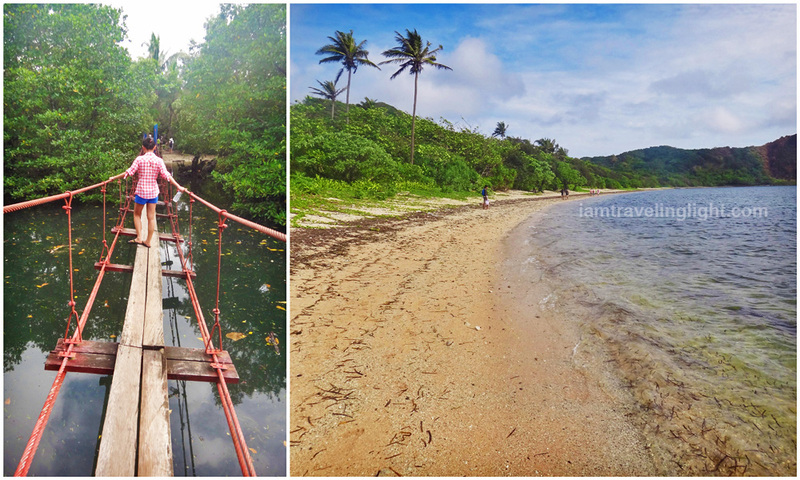 Hoof it to Cape Engaño and have an adventure on this wooden hanging bridge (left). 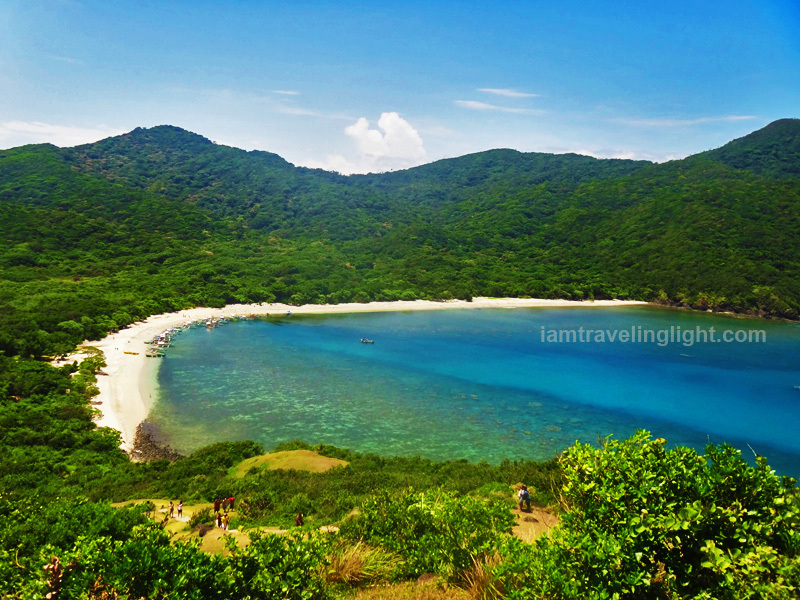 And, if you take the Lagunzad trail, you pass through beaches like this. Green, green hills. One of our travel companions just ran in abandon across this vast green. Look closely: can you see the lighthouse? Can you see the people climbing up the steps? The easier trail is Lagunzad Trail which passes through beaches while the more difficult one is Leonardo Trail, with steep hill climbs. The latter, while harder, has more shaded areas. You can tell your guide your preferred trail. We took the Lagunzad Trail, and it took us a leisurely trek of three and a half hours to reach the foot of the stairs leading to the lighthouse. From there we took almost an hour going up as we enjoyed the view and took lots of photos. And then we went down and had lunch at the beach we were looking at from the top – Cape Engaño Cove. Its sand is made of crushed coral – not exactly powder-fine, but still beautiful. Visitors can also snorkel on the waters here. 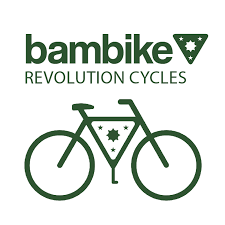 We did not take this option, but this is something I am considering of doing on my return visit. One of the reasons Palaui was recognized as a top beach, after all, is also because of its plentiful marine life. 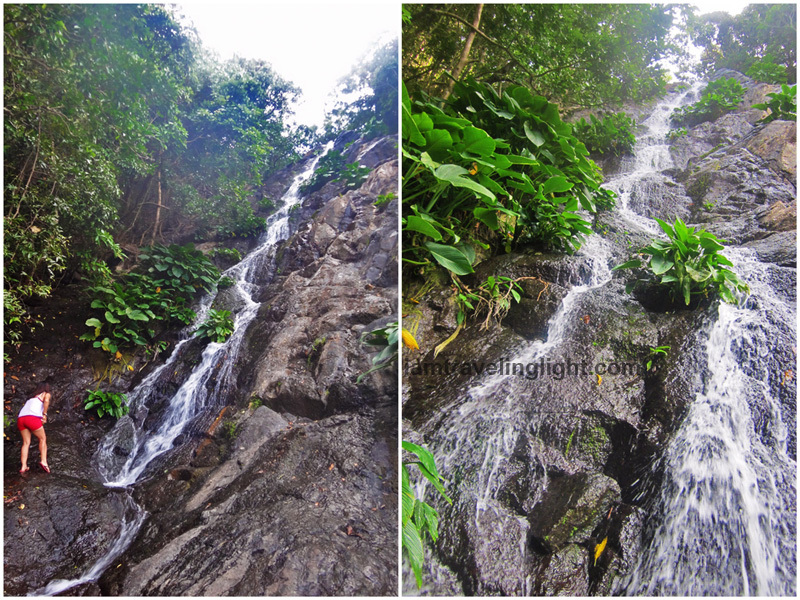 From Cape Engaño Cove there is a small waterfall of a little over ten feet that can be reached via a 20- to 30-minute trek. Getting a waterfall “massage” is the perfect way to relax after the long trek. Its waters are cool and drinkable, too. 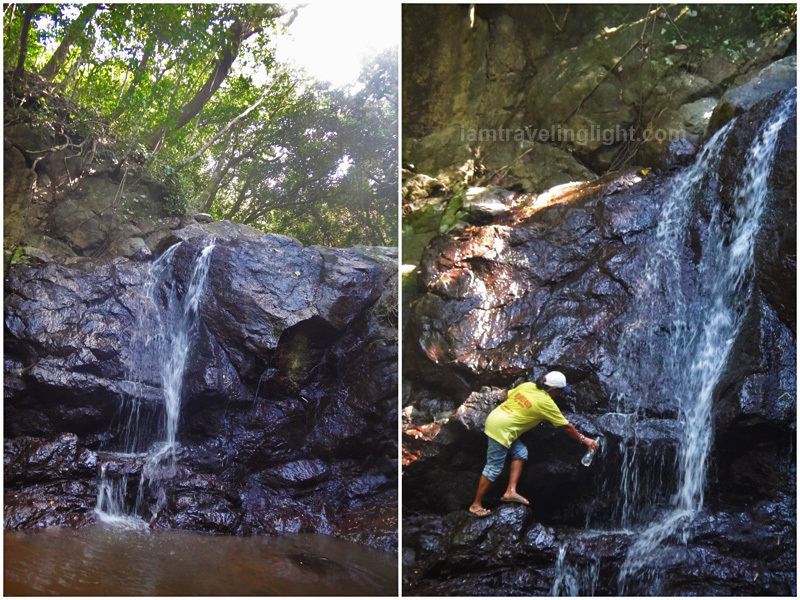 Palaui actually has another well-known and taller waterfalls, Baratubut Falls, accessible via the Leonardo Trail to Cape Engaño. But since we did not take this trail, we only went to these falls the next day. 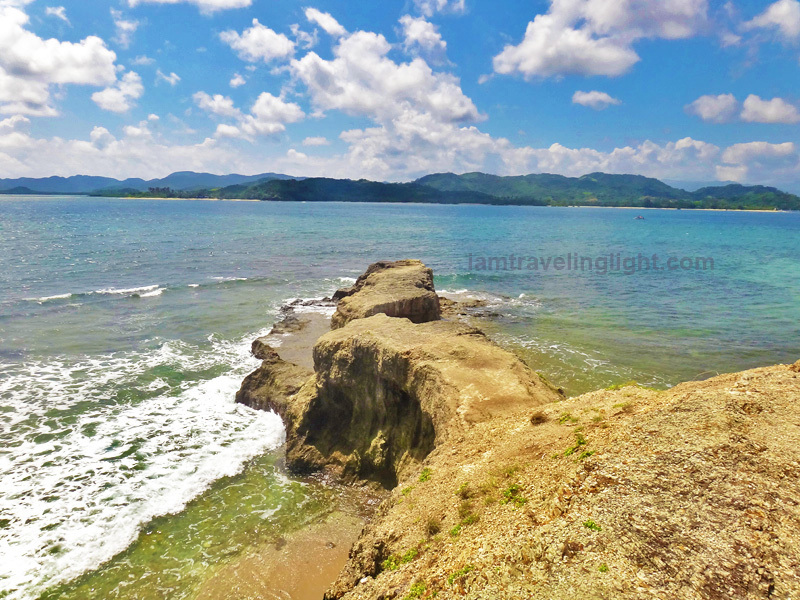 It is 30 minutes away by foot from Punta Verde. Punta Verde, where we had our homestay, is just by the beach, though its white sand and clear waters are darkened by tangles of seaweed. The beach does have sunrises worth waking up early for, though. Off the island of Palaui are other islands and beaches for exploration. During our stay we visited Anguib Cove on the afternoon after our Cape Engaño adventure and Crocodile Island the morning after our trek to Baratubut Falls. Interesting rock formations like this are abundant on the way to Anguib Cove. Anguib Cove is particularly popular and much-recommended by locals for swimming. On our way here and as the afternoon sky darkened with gray clouds, the rough waves violently splashed us, but when we reached this cove, the waters were very still. Anguib Cove’s waters are very quiet and clear. On my second visit to Palaui, the boat ride to Anguib was thankfully calm, and we were blessed with sunny weather, so we enjoyed blue waters and skies during our stay. I found the charm of Crocodile Island, just around ten minutes from Punta Verde, more appealing, though. The island got its name because of its rock formation that looks like a sleeping crocodile, which can easily be climbed. It doesn’t look much like a crocodile from this angle. This must be the tail. 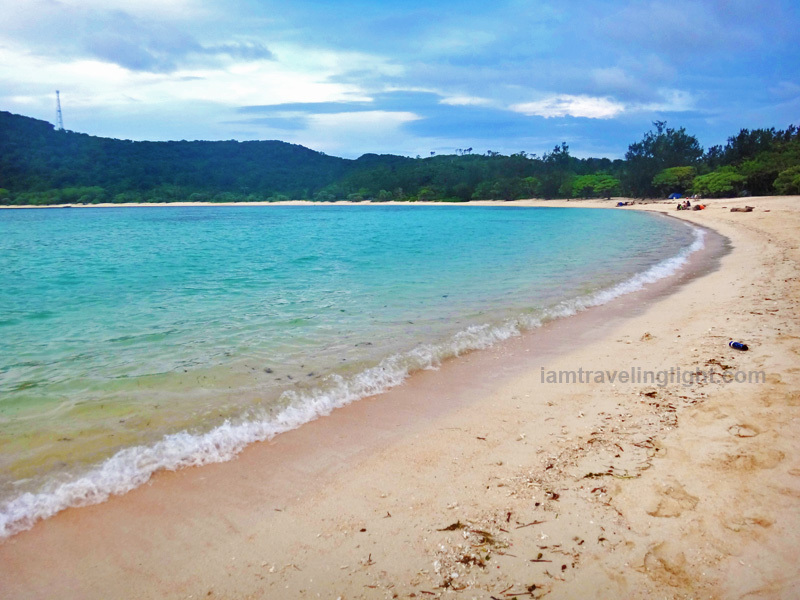 Anguib and Crocodile are just some of the beaches that can be reached from Palaui. There are others like Gotan and Nangaramoan. 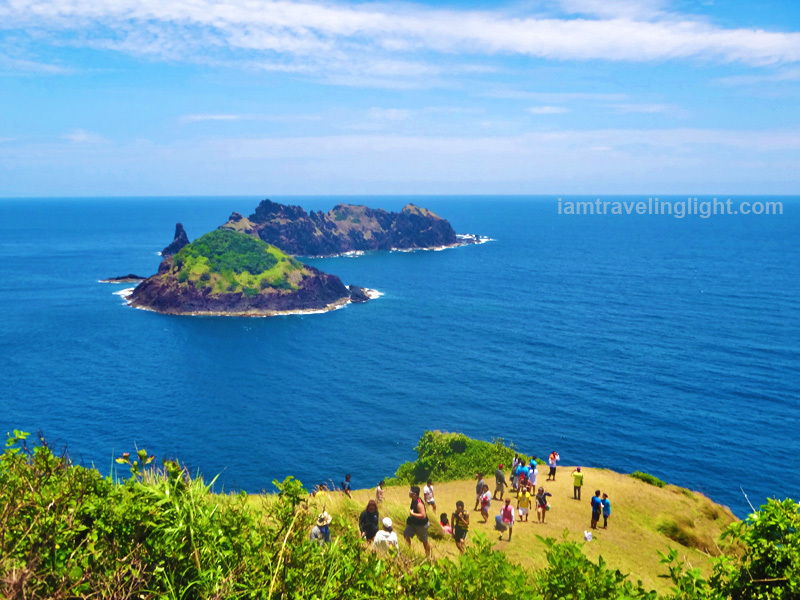 But, because of our limited time and budget, we opted only for the usual Palaui tour of Cape Engaño and these two islands. All the more reason to return, I say. When you get back to the mainland of Sta. Ana, Cagayan from your Palaui adventure, I recommend going on a firefly watching river tour riding a paddleboat, which usually takes around one hour or less. This is one of Sta. Ana’s new offerings, as this tour was not yet available during my first trip to Palaui. Best time to go is on a new moon, when the sky is darkest and when you can see both the fireflies and the skies. This can be a magical ending to your trip. How to get there: Take the plane to Tuguegarao from Manila. Or, take a Tuguegarao-bound bus from Edsa or Manila. We rode a Dalin bus going to Tuguegarao and a Victory Liner bus going back. In our experience, Victory Liner is faster with fewer stops. Fare is usually Php600-Php900 or more. Travel time takes 12 hours or more. From Tuguegarao, take a van to Sta. Ana (Php250, takes around three hours). 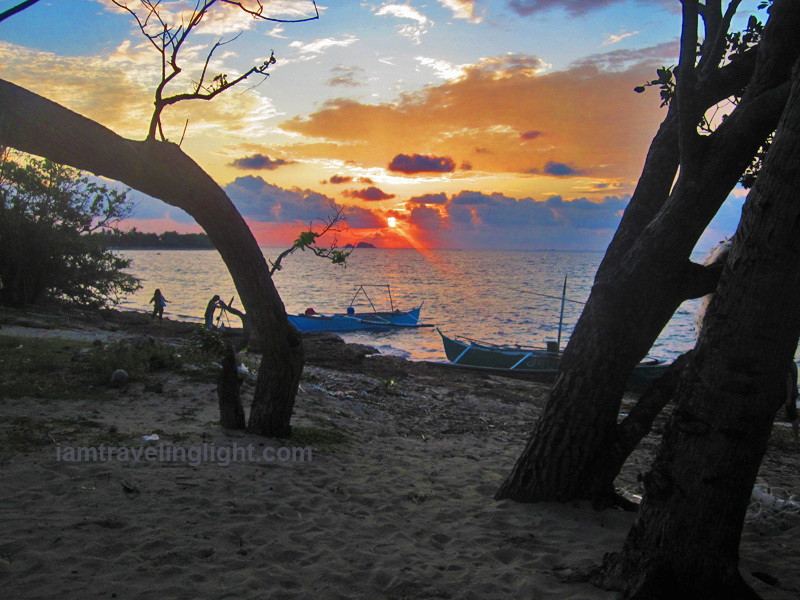 Take a boat (20 minutes or so) to Punta Verde, Palaui, where guests can sleep via homestay or pitch a tent. For overnight stays, boat tour is P3800 good for 8 people. Homestays are usually P250 per night. How to arrange your tour: Palaui tours are now organized and centralized, so book with the visitors’ center / local tourism office and boat association for a DIY trip: +63 975-8572321. You can also contact them for the firefly tour. If you want tour packages for a hassle-free booking, book with Cagayan Valley Traventures (+63916-2776600/ +63920-2817878). Rate starts at P950 per person for a Palaui day tour inclusive of lunch. They guided our group during my second time in Palaui. And, now you can travel solo, in twos, or in a small group, and need not worry paying for the entire boat as they will arrange to fill up the boat with other interested tourists. For the firefly watching river tour in Sta. Ana Mainland, you can hire a boat (good for three passengers) and the guide for P600. You can just charter a tricycle getting together. For a hassle-free packaged tour with dinner and transportation (estimated rate is P1,400), again, contact the local tourism office, or the Cagayan Economic Zone Authority (CEZA) at +6378-8581017. Suggested schedule for a three-day itinerary: Take the bus Friday evening to arrive at Tuguegarao Saturday morning. Have lunch in Tuguegarao (pancit batil patong is a specialty), before taking the van to Sta. Ana then the boat to Palaui. Just relax at Punta Verde when you arrive in Palaui. Wake up early on Sunday morning to catch the sunrise and trek to Baratubut Falls via Leonardo Trail (or, after Baratubut, go back to Lagunzad, if you prefer the easier route. You have to wake up earlier for this, though) then to Cape Engaño. Eat your packed lunch (brought by your guide) then trek to the waterfalls near the cove. Take the boat to Anguib or Crocodile. The next day, go to the island you were not able to visit the previous day. You can also go to Baratubut on this day, like we did, though you will pay another daily fee to the guide. Leave Palaui at noontime or earlier so that you can arrive at Manila early morning the next day. 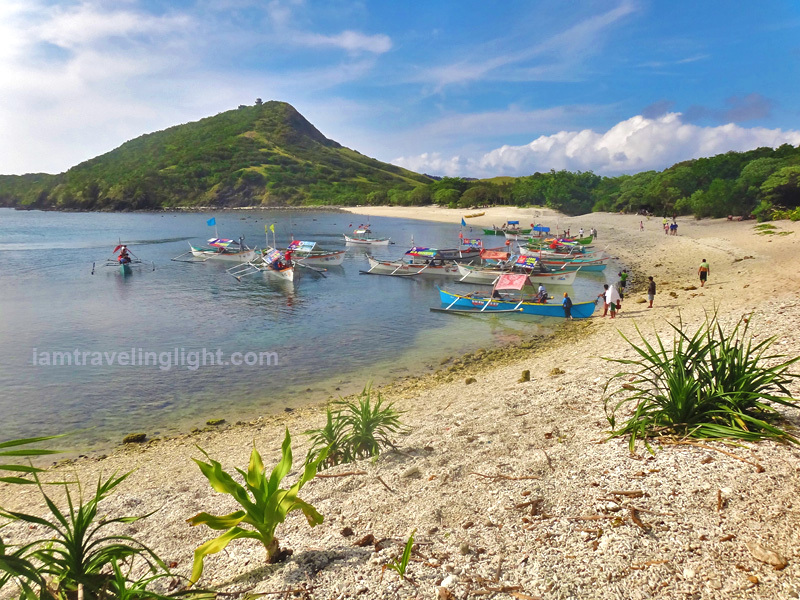 Other expenses: Php3,500 whole-day island hopping fee (includes Palaui-Vicente port round trip, Cape Engaño, Anguib Cove, and Crocodile Island) good for a boat with a capacity of 8 people (additional Php300 if you will stay overnight in Palaui and will be brought back to Sta. Ana the next day), and Php300 daily guide fee (four people or less should have one guide, six people, should have two, and so on). There is also a Php50 (now Php70) environmental fee. Aside from these,no other fees should be asked of you. We were asked for an entrance fee on the way to Baratubut Falls, but this should not be the case, according to the local tourism office. Our final cost per person for our group of five, including bus transportation, is just a little over Php4,000. Other things you need to know: Electricity is limited in Palaui Island and usually runs from 6 pm to 12 mn (in our experience, it was shorter). There is also no running water in the island, though in our homestay there is a nearby water pump where we and our hosts get water for us. 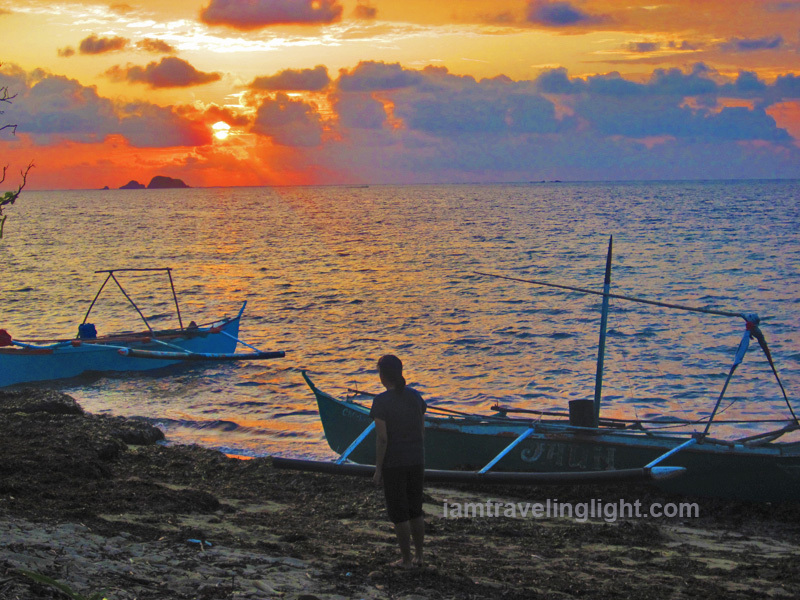 This is my entry to the Pinoy Travel Blogger’s JUNE 2014 BLOG CARNIVAL with the theme “Luzon Lavapalooza” hosted by Mervz of Pinoy Adventurista . Check the previous blog carnival topics here. My second time in Palaui was thanks to the Tourism Philippines Board and Wakay Travel & Tours. I’d always wanted to go to Palaui, but never had a chance. It’s not a good destination for solo travelers. Hope someday I can tag along with a group. anyone whats to join or can i join your group? ill be traveling to Palaui on June 7-11, 2015 and im alone..